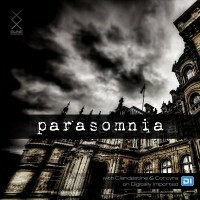 Corcyra and I are excited to present to you the first episode of our new show ‘Parasomnia‘ aired on Digitally Imported Breaks Channel every 3rd Thursday of the month 10AM-12PM EST. This is a truly EPIC 2-hour episode covering a wide range of sub-styles of quality Breaks music. Click download below and don’t forget to tune-in next month for the second episode!